How do I broach this topic delicately and objectively without coming off as if I am way out there in far, far left field? After all, I claim that “I Am A Christian.” “I Am A Baptist,” so I can rightfully disclaim Protestantism. In my articles “True Religion” and “False Religion” I offer four common characteristics of false religion namely: (1) Rejection or denial of the God of the Bible, (2) Rejection or denial of the deity of Christ, (3) Rejection or denial of the Bible as the inerrant, infallible Word of God, and (4) Rejection or denial of salvation by means of Grace alone totally apart from any works of man. And in Jesus Christ, His only Son, our Lord, who was conceived by the Holy Spirit, born of the virgin Mary, suffered under Pontius Pilate, was crucified, died and was buried. He descended into hell. On the third day He rose again from the dead. He ascended into heaven and sits at the right hand of God the Father Almighty. From thence He will come to judge the living and the dead. Liberal Protestantism has fallen away into an apostasy that, while it professes its creedal beliefs, in practice it denies the authority of Scripture, emphasizes salvation though works (mainly through baptism), and “spiritualizes” and/or minimizes the resurrection of Jesus Christ thereby denying His deity. The fall of Protestantism (and from here forward, I am referring to liberal Protestantism) into apostasy began around the 19th century AD with the rise of “higher criticism” of the Scriptures. [Higher criticism] generally takes a secular approach asking questions regarding the origin and composition of the text [of Scripture]…The principles of higher criticism are based on reason rather than revelation (emphasis mine) and are also speculative by nature…The higher critical methods…grew out of a German [Lutheran] school of Biblical studies in the late eighteenth and early nineteenth centuries…the origins of higher criticism are deeply intertwined with rationalism and naturalism (emphasis mine)…In later times, higher critical methods were deployed in conjunction with the contemporary philosophical trends to de-historicize Scripture (emphasis mine). That Bible went on my bed stand and on that day a lifetime love affair with that book was first born in me. It has never yet departed. I began on that Christmas Day the habit of daily Bible reading. I have missed very few days from that one to this in which I did not spend some part of that day reading and studying the Scriptures. I suspect I have read the Bible through twenty-five time by now. A tradition of adult education had never been part of the life of this congregation. Their biblical knowledge was on a Sunday-school level. Christianity was, for the most of them, simply part of their culture and was exhibited by showing decency, good manners, and good citizenship. Besides Spong’s blatant arrogance, note how he elevates himself, his thoughts, and his intellect over and above Scripture so that he is willing to challenge the veracity of the Incarnation, the Trinity, and the Resurrection. Eventually, Spong abandons all those things to the point where he advocates for the ordination of the first homosexual Episcopal priest and later for female priests. What the Bible has to say on these matters becomes irrelevant, and the reason of man becomes supreme. Spong is just a small sample, but he is indicative of what has happened to Protestantism. Granted, there has been a lot of pushback from conservative Protestant groups, which is commendable; but by and large, Protestantism has jettisoned the Word of God, and fallen into a great apostasy where theism has been replaced by humanism so that only the empty hulk of the Reformation remains. Protestantism has become, in the words of Jesus, “whited sepulchres, which indeed appear beautiful outward, but are within full of dead men’s bones, and of all uncleanness” (Matthew 23:27). “Salvation” in these denominations is typically through baptism (usually as an infant) followed by some sort of catechism, confirmation and church membership. In other words, it is a “works-based” salvation. Although their confession affirms justification by Grace alone, through Faith alone, the definition of those terms degenerates into “works.” The shell is there, but the essence is gone. Protestantism, the liberal kind, is a false religion. It gives lip service to God as a “figurehead” and elevates man above God in the form of humanism. It rejects the deity of Christ by questioning His bodily resurrection. It rejects the infallibility and inerrancy of Scripture, when it elevates man’s reason above the Word of God. It rejects the clear teachings of the Bible against such matters as homosexuality, or the ordination of female clergy, and it rejects the miracles of the Bible including creation and the resurrection of Christ. Finally, it teaches a works-based salvation. http://en.wikipedia.org/wiki/Protestantism (accessed August 18, 2014). FYI: There are many “flavors” of Protestantism. Protestant Denominations include, but are not limited to: Lutheran, Presbyterian, Methodist, Episcopal (Anglican), and perhaps some others. All of these, with the exception of Methodist, are direct breakaways from the Roman Catholic Church. The Anglican Church (the Church of England) broke away from the Roman Catholic Church so that Henry VIII could divorce Catherine, but it basically maintained Catholic practices. Methodists then broke away from the Anglican Church. Many Protestant Denominations maintain the liturgical form of the Roman Catholic Church without the Roman Catholic distinctive of the veneration of Saints. John Shelby Spong, Here I Stand, (San Francisco, Harper Collins Publishers, 2000), 30. Image Credit: Aleksandar Mijatovic http://www.123rf.com/. Hijab shrouded women are no longer an uncommon sight in the United States, especially in heavily populated urban areas like here in the Dallas-Fort Worth Metroplex. What is really surprising, at least to me, is the number of white American women who have “submitted” (the meaning of “Islam”) to wearing Muslim garb. What is it about this oppressive eastern religion that would attract “independent,” freedom-loving American women to subject themselves to such humiliation? I know; they probably don’t see it that way. Ever since the attacks on the Twin Towers in New York City and the Pentagon in Washington, D.C. on September 11, 2001, there has been a lot of propaganda going around trying to convince us that the Muslim god and the Christian God are the same – we all worship the same God. I deal with this in some detail in my article “God Is Not Allah.” In recent articles dealing with false religions, I contend that false religions share some common characteristics: (1) They deny or reject the God of the Bible, (2) They deny or reject the deity of Christ, (3) They reject the Bible as the inerrant, infallible Word of God, and (4) they teach salvation through the works or efforts of the believer. Since I covered the first characteristic in “God Is Not Allah,” and for the sake of brevity, I will dispense with that discussion here. Instead, I will begin with the second characteristic. Islam, which means “submission,” was founded around 610 A.D. when Muhammad supposedly received the first series of revelations of the Qur’an (Koran). Muhammad, the founder of Islam is of highly questionable character. His foster mother suspected that he received these revelations under satanic influence. “At twenty-five, Muhammad married a wealthy forty-year-old widow, Khadija, after she proposed to him. After Khadija died…Muhammad married a widow of a disciple and a six-year-old (who moved in with him when she was nine), Ayisha [his favorite]. His seventh wife was his ex-daughter-in-law; by the time of his death he had twelve wives and two concubines … Interestingly, Sura 4:3 limits the number of wives to four, and in Sura 4:31, marriage to one’s daughter-in-law was prohibited. But in Sura 33:36-40 Muhammad was conveniently given a new revelation from God that ordered Zaid, Muhammad’s adopted son, to divorce his wife so Muhammad could marry her by God’s command. This is called abrogation, to be discussed later” (emphasis and insertion mine). Muslims get very defensive when Muhammad’s character is called into question, although honest Muslims will concede the historical accuracy while at the same time justifying his actions. Muslims reject the deity of Christ. To the Muslim, Jesus is just another one of Allah’s prophets (Sura 4:171). While Islam (and the Qur’an) concedes that Jesus was virgin-born, it rejects the notion that He was the Son of God or part of the Trinity (Sura 5:17; 5:116; 19:35). “We are told that He was nothing but a slave on whom God showed favor (Sura 43:59); yet elsewhere we are told that the Messiah is not a slave (Sura 4:172). While Jesus did not atone for anyone’s sins, according to Islam, He Himself was sinless (Sura 3:46). Interestingly, “Muhammad sinned and needed forgiveness (Sura 40:55),” and yet he supersedes Jesus as Allah’s prophet. The Qur’an attributes miracles to Jesus (Sura 3:49; 5:110), but none to Muhammad. Islam is a false religion because it rejects the deity of Christ. The Qur’an cannot be trusted because it contains “divinely inspired” contradictions. If God has a history of abrogating his own revelation, the “eternal speech of God,” how can one be certain that he will not abrogate it again in the future? It may be argued that it cannot be abrogated again in the future, since Muhammad was “the last prophet.” But how do we know that God will not abrogate that and send us more prophets? If God can abrogate his eternal speech, how can we trust him with our eternal soul? If God can abrogate past divine revelation, it seems to indicate intellectual weakness at the very least. It not only causes problems for omniscience, since he did not have sufficient foreknowledge to avoid the need for abrogation, but also for omnipotence (because if he did have sufficient foreknowledge he apparently did not have the power to carry out effective preventative measures), as well as other attributes. If the Muslim God is not consistent, then his creatures have no foundation for morality and ethics…If God is not invariant, then the moral/ethical system derived from him would necessarily be inconsistent, and we would essentially be on our own…If each person had their own moral standard, there could be no legal basis for a society of any kind. This would seem to conflict with the Muslim concept of sharia. Unlike the Qur’an, the Bible has no abrogation, and it can be shown to be wholly consistent from Genesis to Revelation. Indeed, Jesus proclaimed, “For verily I say unto you, Till heaven and earth pass, one jot or one tittle shall in no wise pass from the law, till all be fulfilled” (Matthew 5:18). Such a statement allows no room for abrogation, but Islam rejects the Bible and prefers the Qur’an, which admits that it abrogates. That makes Islam a false religion. Almsgiving (Zakat), which involves the duty to give a certain percentage of one’s total income to help others. This is not considered charity but an obligation arising out of the realities of a world where there is poverty, inequality, injustice, and suffering. Generally, performing zakat is to be done privately, unless there is a pressing reason for the giving to be made known publicly. Fasting (Saum or Ruzeh) during the entire month of Ramadan, when Muslims are supposed to fast from all food and drink from sunrise to sunset in atonement for their own sins over the previous year. Muslims are allowed to eat and drink after sunset and some get up before sunrise to eat before the fast begins again. A pilgrimage (Hajj) to Mecca, the holy city, at least once in a Muslim’s lifetime. The hajj takes place after Ramadan. The Qur’an, like the Bible, teaches that all men are sinners (Sura 16:61; Sura 42:5), and all men are weak (Sura 4:28). As shown above, even Muhammad sinned (Sura 40:55; Sura 47:19; Sura 48:1-2), but Jesus was sinless (Sura 3:45-46). No one escapes Allah’s judgment, and even the most faithful Muslim cannot have the assurance of eternal life. While the Qur’an and the Bible agree on man’s sinful and lost condition, only the Bible offers the “free gift” of salvation apart from action on the part of man. “For by grace are ye saved through faith; and that not of yourselves: it is the gift of God: Not of works, lest any man should boast” (Ephesians 2:8-9). It is all the work of God and not at all on the part of man except for the act of receiving the free gift: “But as many as received him, to them gave he power to become the sons of God, even to them that believe on his name…For God so loved the world, that he gave his only begotten Son, that whosoever believeth in him should not perish, but have everlasting life” (John 1:12; 3:16). A works-based salvation makes Islam a false religion. Islam is a false religion in that it rejects the triune nature of the God of the Bible, it rejects the deity of Christ, it rejects the Bible as inerrant and infallible, and it bases salvation on the efforts of the individual. The Qur’an, while it is not the word of God by any stretch of the imagination, does contain some particles of truth that, if used wisely, can be used as a witness to Mulims. Martin, Walter, The Kingdom of the Cults, (Minneapolis: Bethany House Publishers, 2003), 440. FYI: Unlike the Bible, the Qur’an does not have “books,” rather it is divided into long “chapters” called Suras. Passages in the Qur’an are identified by the Sura number followed by the number of the verse or passage, e.g., Sura 4:3 would be the fourth Sura, the third verse. FYI: these passages from the Qur’an are NOT taken out of context, because the Qur’an has no “context” to speak of. It is a collection of disjointed sayings that rarely have anything to do with one another, which explains why it can so easily be abrogated. Almost any Saturday you will find them walking the neighborhoods in pairs smiling and handing out their literature. If you happen to have a face-to-face encounter with the Jehovah’s Witnesses (JWs or Witnesses), you may get the impression that these are really Christians, albeit with a few strange ideas. 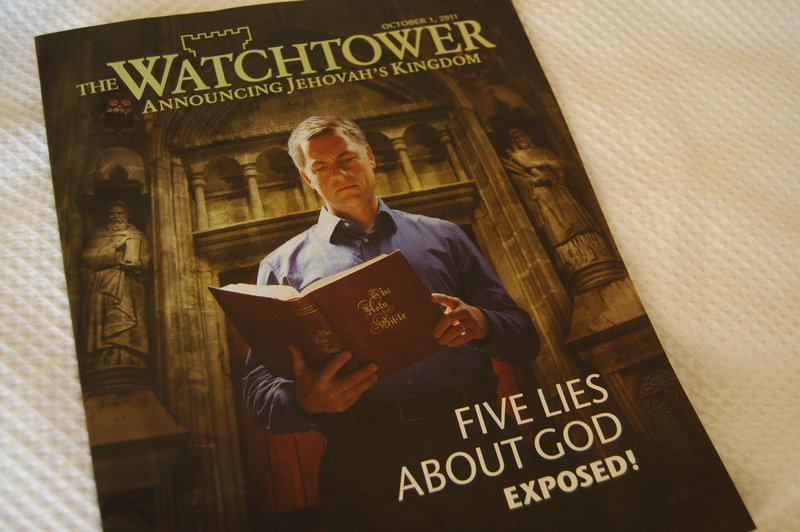 They quote Scripture, and they seem to be in agreement with some general tenets of Christianity, but do not be fooled, the Jehovah’s Witnesses and the Watchtower Society is a false religion. As with my last post, False Religion: Mormonism, I will not spend a lot of time reviewing the history of this false religion, although it is very colorful to say the least. For an in-depth study of the Witnesses, I highly recommend The Kingdom of the Cults by Walter Martin (1985) from which I will quote from time to time. While the history of the Jehovah’s Witnesses is a worthwhile study, my main concern is to show how the Witnesses meet the criteria for a false religion: (1) Deny or reject the God of the Bible, (2) Deny or reject the deity of Christ, (3) reject the Bible as the inerrant, infallible Word of God, and (just to add a fourth characteristic of a false religion) (4) they teach salvation through the works or efforts of the believer. The Witnesses have other problems besides the four “biggies.” JWs reject the doctrine of an eternal hell. They believe that a lost person, one not destined for heaven, i.e., eternal life, is annihilated, that is, they just cease to exist. “To the average Jehovah’s Witness, then, Hell (sheol) is literally ‘the grave,’ the place where mortals wait the resurrection” (Martin, p. 101). The Witnesses contend that the Greek word Gehenna, translated “hell” in English, means “everlasting destruction” (annihilation). “This is indeed a bold-faced misrepresentation of the Greek language and certainly ranks next to the ‘a god’ fallacy [to be discussed later] of John 1:1 as an outstanding example of complete falsehood. There is no evidence that Gehenna ever means annihilation in the New Testament but rather abundant evidence to the contrary” (Martin, p. 102). From the JWs perspective, “The doctrine of a burning hell where the wicked are tortured eternally after death cannot be true, mainly for four reasons: (1) Because it is wholly unscriptural; (2) it is unreasonable; (3) it is contrary to God’s love; and (4) it is repugnant to justice” (Martin, pp. 55-56 quoting Let God Be True, p. 99). By the way, JWs are not the only ones that are repulsed by the doctrine of an eternal hell. Many, both Christians and non-Christians alike, take offense to the doctrine of eternal hell. See my articles “You Don’t Go to Hell Because You’re A Sinner” and “The Book of Life.” While this is a significant problem, it is not the worst problem with this false religion. Another curious teaching of the Witnesses concerns who will enter “the Kingdom of Heaven.” According to Watchtower literature, “Who and how many are able to enter it [the Kingdom]? The Revelation limits to 144,000 the number that become a part of the Kingdom and stand on heavenly Mount Zion…” (Martin, p. 56 quoting Let God Be True, p. 136). According to http://www.jw.org/en/jehovahs-witnesses/, there are currently 7,965,954 Jehovah’s Witnesses in the world. A little simple math reveals that only about 2% of them will make it into “the Kingdom of Heaven.” So what happens to the other 98%? With those odds, a Jehovah’s Witness is no better off than an atheist who basically believes in annihilationism. At least the atheist does not have to work as hard to achieve that status. The prospect of not making it in is probably the greatest motivator that keeps the JWs on the streets passing out their leaflets. From their perspective, the harder they work and maintain a “holy” life style, the better their chance of being numbered among the 144,000. This fervent work activity is one of the characteristics of false religion (the forth on my list). Now let us look at why the Jehovah’s Witnesses is a false religion. 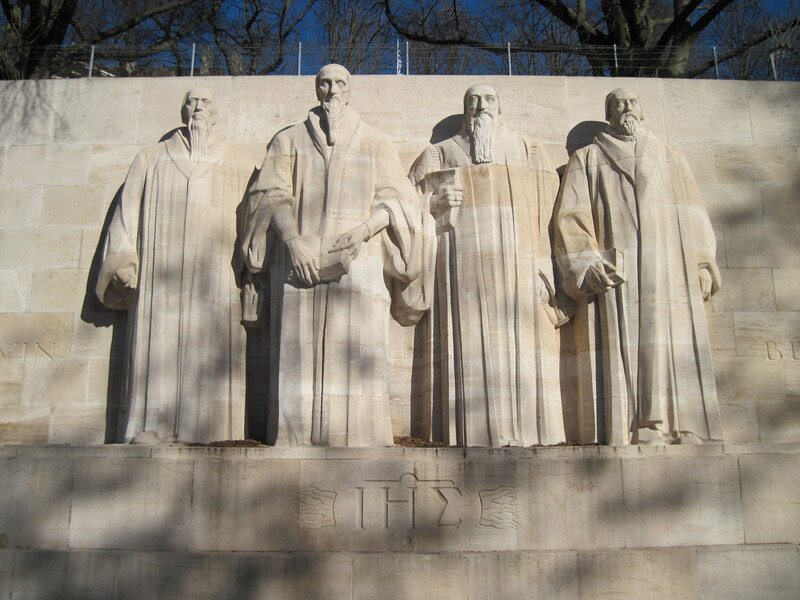 The Witnesses reject the God of the Bible primarily by their rejection of the Trinity or the triune nature of God – Father, Son, and Holy Spirit. Some astute Witness may point out that the word “Trinity” appears nowhere in the Bible, and they would be correct. Tertullian first used the word in the early part of the third century to describe the triune nature of God. Jehovah’s Witnesses accuse Christians of believing in three gods or “three gods in one,” but Christians “do believe that there are three Persons all of the same Substance, co-equal, co-existent and co-eternal. There is ample ground for this belief in Scriptures, where plurality in the Godhead is very strongly intimated if not expressly declared” (Martin, p. 61). The very first verse of the Bible expresses this. “In the beginning God created the heaven and the earth” (Genesis 1:1, emphasis mine). The Hebrew word translated “God” is ‘ĕlôhı̂ym, a plural, masculine noun. The Hebrew word translated “created” is bârâ’, a singular, masculine verb. Under normal circumstances, the subject and predicate must agree in number and gender, but here they do not indicating that the plural subject acts as a single entity. Just a few verses down we have: “And God said, Let us make man in our image, after our likeness…” (Genesis 1:26, emphasis mine). Again we have the plural ‘ĕlôhı̂ym with the singular verb ‘âmar (“said”). In addition we have the Godhead speaking within Himself, “Let us make man in our image, after our likeness” indicating the plurality of the Godhead. This plurality is also seen in Genesis 11:7 at the Tower of Babel: “let us go down, and there confound their language…” (emphasis mine). In Isaiah’s great vision of God upon His throne we hear the Godhead speak, “Whom shall I send, and who will go for us?” (Isaiah 6:8, emphasis mine) Note how the uni-plurality of the Godhead is demonstrated here. Besides the physical manifestation of the Trinity at Jesus’ baptism (Matthew 3:16-17) there are several examples of the Trinity in the New Testament (See John 14:16; 15:26). More could be said on this, however, it ties into the second reason why the Jehovah’s Witnesses is a false religion. Therefore the Lord himself shall give you a sign; Behold, a virgin shall conceive, and bear a son, and shall call his name Immanuel [“God with us”] (Isaiah 7:14, emphasis mine). For unto us a child is born, unto us a son is given: and the government shall be upon his shoulder: and his name shall be called Wonderful, Counsellor, The mighty God, The everlasting Father, The Prince of Peace (Isaiah 9:6, emphasis mine). These descriptions of the coming Messiah clearly show Him to be God: Immanuel (meaning “God with us”), mighty God, everlasting Father, “whose goings forth have been…from everlasting,” i.e., eternity past. Does that sound like any other mortal man? Of course there are many affirmations to Jesus’ deity in the New Testament, but probably none more poignant than Thomas’ confession, “My Lord and my God” (John 20:18). It is remarkable that Jesus did not correct him or reprove him of blasphemy, but rather accepted the worship. “Jesus saith unto him, Thomas, because thou hast seen me, thou hast believed: blessed are they that have not seen, and yet have believed” (John 20:29). Yet, the Jehovah’s Witnesses do not believe and this makes it a false religion. In [the] beginning the Word was, and the Word was with God, and the Word was a god. (emphasis mine). There arose a man that was sent forth as a representative of God: his name was John (John 1:6 NWT, emphasis mine). Happy are the peaceable, since they will be called ‘sons of God’ (Matthew 5:9 NWT, emphasis mine). No one can slave for two masters; for either he will hate the one and love the other, or he will stick to the one and despise the other. You cannot slave for God and for Riches. (Matthew 6:24 NWT, emphasis mine). And the young child continued growing and getting strong being filled with wisdom and God’s favor continued upon him (Luke 2:40 NWT, emphasis mine). These are just some examples; there are many more, but in each of the above, the Greek text uses theos alone without the aid of the definite article. If the translators had been consistent in the translation of the NWT, each one of the above examples should have read “a god” not “God.” What this indicates is that they have made a distinction when this Greek construct is referring to Jesus thereby denying His deity. Furthermore, they have ignored Scripture’s stern warning against tampering with the Word of God. So, to recapitulate, the Jehovah’s Witnesses is a false religion because they deny the God of the Bible when they deny the triune nature of God, they deny the deity of Christ, they deny the inerrant, infallible World of God, and they teach a works based salvation. Again, this was a very brief overview. For an in-depth study, I recommend, The Kingdom of the Cults by Walter Martin. Mormonism, otherwise known as the Church of Jesus Christ of Latter Day Saints (LDS Church), was founded by Joseph Smith in 1820. The religion is of rather dubious origins. Allegedly in 1823, Joseph Smith was visited by the angel Moroni and told Smith about a book of golden plates containing “the fullness of the everlasting Gospel” (see our lead verse above). Four years later, Smith discovered the golden plates along with a special set of spectacles that allowed him to translate the hieroglyphics into what we now know as The Book of Mormon. Once his translation work was done, he conveniently buried the plates again at an undisclosed location never to be seen again. More could be said about the beginnings of this cult, its founder, and its early history, but my purpose here is to point out some of the fallacious teachings of this false religion. As I pointed out in my last post, “False Religion,” three characteristics of false religions are: (1) deny or reject the God of the Bible, (2) deny the unique deity of Christ, and (3) reject the Bible as the inerrant, infallible Word of God. The LDS Church is guilty on all three counts. If one is not paying attention, one might think that Mormons believe in God. However, their concept of God is nothing like the God of the Bible. To be sure, the Bible makes it abundantly clear that there is only one God. Ye are my witnesses, saith the LORD, and my servant whom I have chosen: that ye may know and believe me, and understand that I am he: before me there was no God formed, neither shall there be after me. I, even I, am the LORD; and beside me there is no saviour (Isaiah 43:10-11). Thus saith the LORD the King of Israel, and his redeemer the LORD of hosts; I am the first, and I am the last; and beside me there is no God … Fear ye not, neither be afraid: have not I told thee from that time, and have declared it? ye are even my witnesses. Is there a God beside me? yea, there is no God; I know not any (Isaiah 44:6, 8). I am the LORD, and there is none else, there is no God beside me: I girded thee, though thou hast not known me … Tell ye, and bring them near; yea, let them take counsel together: who hath declared this from ancient time? who hath told it from that time? have not I the LORD? and there is no God else beside me; a just God and a Saviour; there is none beside me. Look unto me, and be ye saved, all the ends of the earth: for I am God, and there is none else (Isaiah 45:5, 21-22). The following comes from The Kingdom of the Cults (1985) by Walter Martin. Note how the Mormon concept of “God” is polytheistic, not monotheistic as the God of the Bible. “In the beginning, the head of the Gods called a council of the Gods; and they came together and concocted a plan to create the world and people it” (Teachings of the Prophet Joseph Smith, 349). “God himself was once as we are now, and is an exalted man, …” (Teachings of the Prophet Joseph Smith, 345). “The Father has a body of flesh and bones as tangible as man’s: the Son also; but the Holy Ghost has not a body of flesh and bones, but is a personage of Spirit…” (Doctrine and Covenants 130:22). “Gods exist, and we had better strive to be prepared to be one with them” (Brigham Young, Journal of Discourses, 7. p 238). “As man is, God once was: as God is, man may become” (Prophet Lorenzo Snow, quoted in Milton R. Hunter, The Gospel Through the Ages, pp. 105, 106). “Each of these God, including Jesus Christ and His Father, being in possession of not merely an organized spirit, but a glorious immortal body of flesh and bones…” (Parley P. Pratt, Key to the Science of Theology, 1965, p. 44). Martin, 202-203. There are more, but the reader can readily see the pattern here. According to the LDS Church, “God” was once a man who was elevated to godhood, and apparently he is one among other “Gods.” Apparently, man, by following the practices prescribed by the Mormon Church, can also achieve godhood. Note here another principle of false religion: “salvation” is achieved through one’s own efforts, something the Bible rejects. “For by grace are ye saved through faith; and that not of yourselves: it is the gift of God: Not of works, lest any man should boast” (Ephesians 2:8-9, emphasis added). The LDS Church also rejects the unique deity of Christ. Note the qualifier “unique.” The Mormons do indeed believe that Jesus Christ is “a God” – one among many others. They also recognize “Elohim” as Jesus’ father, albeit in a “carnal” way, i.e., as from the union of a man and woman. Martin [p. 212] quotes Brigham Young: “When the Virgin Mary conceived the child Jesus, the Father had begotten him in his own likeness. He was not begotten by the Holy Ghost. And who was the Father? He is the first of the human family; and when he took a tabernacle [body], it was begotten by his Father in heaven, after the same manner as the tabernacles of Cain, Abel, and the rest of the sons and daughters of Adam and Eve; from the fruits of the earth, the first earthly tabernacles were originated by the Father, and so on in succession … Jesus, our elder brother was begotten in the flesh by the same character that was in the garden of Eden, and who is our Father in Heaven” (Journal of Discourses, Vol. I, pp. 50 and 51). From the Mormon perspective, the “Father” was Adam who came down from heaven with one of his wives, Eve, and populated the earth. This same “Father” begat Jesus through the Virgin Mary. Even the least studied student of the Bible can see through this fallacy. Not only is Jesus the only begotten Son of God; He is in every way the only God in human form (John 1:1; Philippians 2:5-8; Colossians 2:9; Revelation 4:11). The LDS Church denies the inerrancy and infallibility of the Bible and elevates The Book of Mormon and other Mormon writings (as quoted above) over the Word of God. Indeed, Joseph Smith said, “…it was apparent that many important points touching the salvation of men, had been taken from the Bible, or lost before it was compiled” (Teachings of the Prophet Joseph Smith, p. 10, cited at “The Plain Truth About Mormons”). The LDS Church accepts the King James Version of the Bible as “part” of God’s Word “insofar as it is correctly translated,” but in addition to that, they give higher regard to The Book of Mormon, Doctrine and Covenants (Brigham Young), and The Pearl of Great Price. While the Bible has never been scientifically, historically, or archeologically falsified, The Book of Mormon fails miserably on all three counts, and yet the LDS Church reveres The Book of Mormon and their other writings above the Bible. “There is a great wealth of information concerning the material contained in the Book of Mormon and the various plagiarisms, anachronisms, false prophesies and other unfortunate practices connected with it” (Martin, 186). Martin (pp. 186-187) goes on to list a series of corrections made to The Book of Mormon since it was first published in 1830. 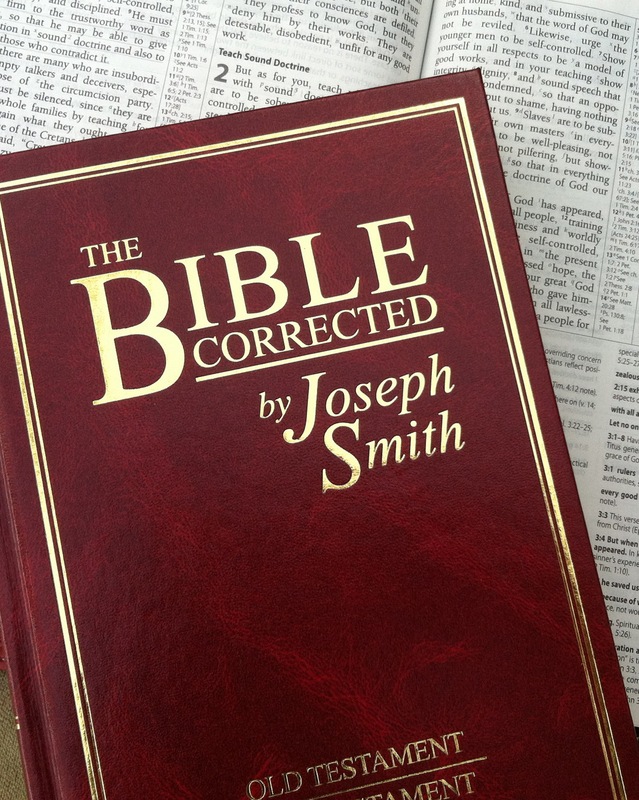 Martin comments that “…it appears that either God made a mistake when He inspired the record or Joseph [Smith] made a mistake when he translated it. Mormons will admit to neither, so they are stuck, so to speak, with the contradiction” (Martin, 186). Similar allegations have been levied against the Word of God, but none have been proven true. “The record of Scripture [the Bible] rings true. The Book of Mormon, on the other hand, is patently false in far too many places to be considered coincidence” (Martin, 187). These are only some of the problems with the false religion of Mormonism. For a more complete study, I highly recommend The Kingdom of the Cults by Walter Martin, but here in brief I have shown that Mormonism is a false religion. It denies the God of the Bible. It denies the unique deity of Christ, and it rejects the inerrant, infallible Word of God. In addition, like all other false religions, salvation is dependent on the works of the believer. Mormonism does not even qualify as “Christian” even though “Jesus Christ” is part of their name. Do not be fooled by this false religion. Mormons are very nice people, and they live exemplary and admirable lives; but according to the Bible, they are self-deceived, and they are lost. Treat them accordingly with all due love and respect.